Presenters Wylie Stateman, left, and Mary Ramos present the Outstanding Feature Film Sound Award to re-recording mixers Tom Ozanich, second from left, and John Reitz, and supervising sound editor Alan Murray for Sicario. On a chilly Thursday evening in mid-November, the Hollywood Professional Association (HPA, formerly the Hollywood Post Alliance) celebrated the presentation of its 11th Annual HPA Awards at the Skirball Cultural Center in Los Angeles. 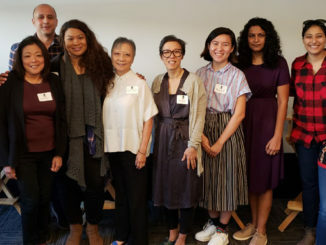 The sold-out gala event honored the achievements of post-production personnel in 12 creative craft categories, including Outstanding Editing and Outstanding Sound. Special awards were also given to individuals and companies for their groundbreaking technological contributions to the media entertainment industry. This year, the association presented its Lifetime Achievement Award to Herb Dow, ACE, whose career encompassed achievements as both a picture editor and a technical innovator. An unofficial kickoff for the industry’s coming awards season, the HPA Awards also effectively close last year’s awards season. Because of the HPA Awards’ September submission deadline, some of its feature film nominees, released in 2015, were up for Oscars and other honors early this year. Starting quickly with a “sizzle reel” of clips from all the creative categories’ nominated shows, the event went immediately to the Sound awards, presented by supervising sound editor Wylie Stateman and music supervisor Mary Ramos. The award for Outstanding Sound in a Feature Film went to supervising sound editor Alan Robert Murray, re-recording mixer/sound designer Tom Ozanich, MPSE, and re-recording mixer John Reitz of Warner Bros. Post-Production Services for Sicario (2015). 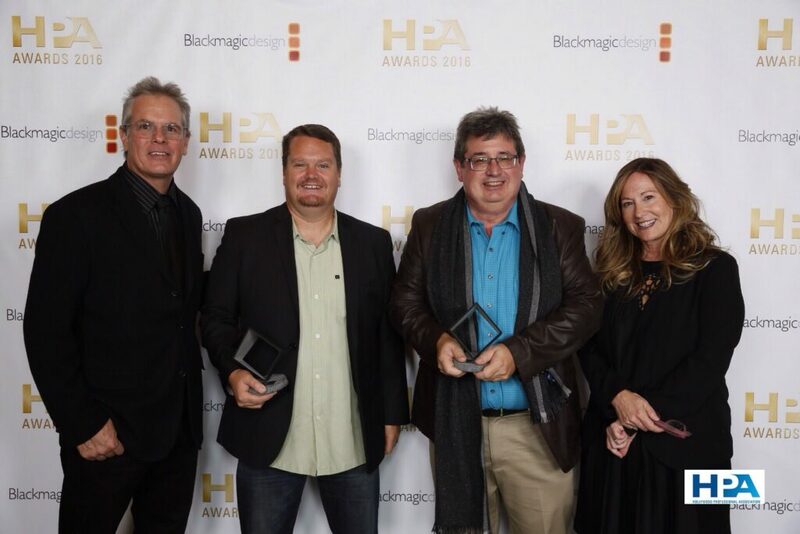 These three sound veterans, along with re-recording mixer Gregg Rudloff, had taken home last year’s HPA Award for American Sniper (2014). Murray’s sound editing on Sicario also had been nominated for the Oscar, which he has won for Sniper and Letters from Iwo Jima (2006). The other feature sound nominees were re-recording mixer/sound designer Steve Fanagan, supervising sound editor Niall Brady and re-recording mixer Ken Galvin of Ardmore Sound for Room (2015); supervising sound editor/re-recording mixer Craig Mann, re-recording mixer Adam Jenkins, sound designer/supervising sound editor Bill R. Dean, MPSE, and dialogue editor Chase Keehn of Technicolor Creative Services for Eye in the Sky (2015); supervising sound editor Scott Hecker, MPSE, of the Formosa Group and re-recording mixers Chris Jenkins and Michael Keller, CAS of Warner Bros. Post Production Services for Batman v Superman: Dawn of Justice (2016); and re-recording mixer David Fluhr, CAS, original dialogue mixer Gabriel Guy, CAS, and sound designer/supervising sound editor Addison Teague of the Walt Disney Company for Zootopia (2016). Presenters Wylie Stateman, left, and Mary Ramos flank the winners of the Outstanding Sound in Television Award to Brian Magerkurth, second from left, and Alan Decker for the “Prestonpans” episode of Outlander. The winners for Outstanding Sound in Television were re-recording mixers Nello Torri, CAS, and Alan Decker, CAS, production sound mixer Brian Milliken and dialogue editor/supervising sound editor Vince Balunas of NBCUniversal Post Sound for the “Prestonpans” episode of Outlander (2014-present). 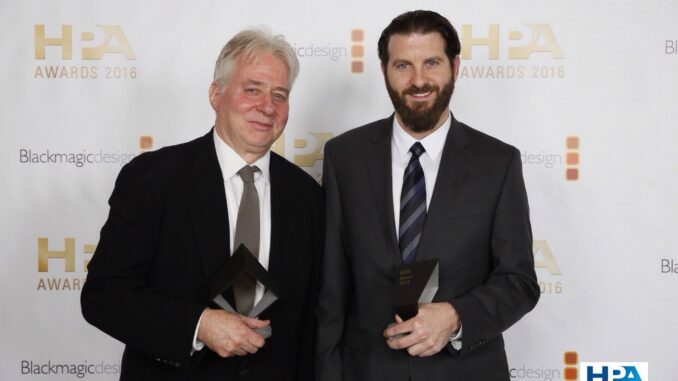 Torri and Decker had won the HPA TV Sound Award twice before, in 2015 for their work on Homeland (2011-present) and in 2012 for Grimm (2011-present). The other TV Sound nominees were: Supervising sound editor Tim Kimmel, MPSE, sound designer Paula Fairfield, CAS, re-recording mixers Mathew Waters, CAS, and Onnalee Blank, CAS, sound effects editor Bradley C. Katona, MPSE, and supervising dialogue editor Paul Bercovitch of the Formosa Group for the “Battle of the Bastards” episode of Game of Thrones (2011-present); supervising sound editor Richard Yawn, MPSE, and re-recording mixers Mark Linden and Tara Paul, CAS, of Sony Sound for the “See” episode of Preach (2016- present); supervising sound editor/re-recording mixer David Paterson, re-recording mixer Roberto Fernandez, dialogue and ADR editor Alexa Zimmerman, sound effects editor Glenfield Payne and Foley artist Rachel Chancey of the Harbor Picture Company for the “100 Eyes” episode of Marco Polo (2014-present); and supervising sound editor Jeremy Molod, sound designer Ren Klyce, re-recording mixers Nathan Nance and Scott R. Lewis, and music editor Jonathan Stevens of Skywalker Sound for “Chapter 45” of House of Cards (2013-present). The winners for Outstanding Sound in Commercials were Anthony Moore and Neil Johnson of Factory for Sainsbury’s Mog’s Christmas Calamity. After the Sound Awards, HPA President Seth Hallen of Sony DADC New Media Solutions made the official welcoming speech to the audience. 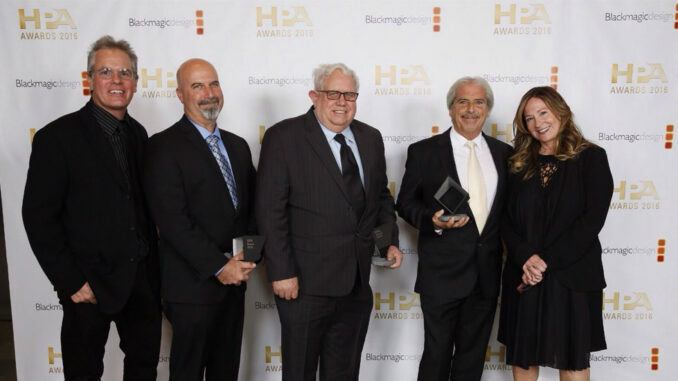 After a special word of thanks to HPA Executive Director Barbara Lange, he expressed the association’s gratitude to the evening’s sponsors, which included Blackmagic Design, Dolby, Avid, Deluxe, IMAX and many other corporate and small-business supporters. Presenters of the Outstanding Editing Awards, Carol Littleton and Ramy Katrib. Then the Awards for Outstanding Editing were presented by Carol Littleton, ACE, and Ramy Katrib, founder and CEO of Digital Film Tree. The Editing Award for Television turned out to be a tie going to Tim Porter, ACE, for the “Battle of the Bastards” episode of Game of Thrones, and to Martin Nicholson, ACE, and Greg Babor, for “Night One” of Roots (2016). Porter’s editing of “Battle” had already received this year’s Primetime Emmy for Single-Camera Picture Editing for a Dramatic Series. However, the editor was not on hand to accept the HPA Award. 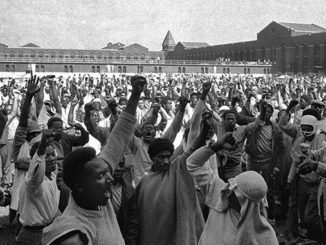 Later, Roots “Night One” editor Nicholson found it somewhat ironic sharing the award with Game of Thrones; Nicholson had been the only American editor on Game of Thrones during its first season. 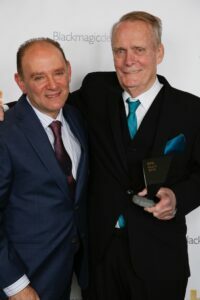 Despite the show’s quality and its significance, Nicholson felt, “It didn’t get seen enough.” Supporting the call for greater racial diversity in the entertainment business, he said, “The Arts and Entertainment Network didn’t promote the show properly; the show didn’t get any advertising for the Emmy.” Nicholson and Babor are currently working together with director Noyce on Above Suspicion, a feature scheduled for release in 2017. The other TV editing nominees were David Dorg for Body Team 12 (2015); Zack Arnold and Ian Tan for “The Macon 7” episode of Underground (2016); and David Tedeschi for the pilot of Vinyl (2016). The other HPA Feature editing nominees were Pietro Scalia, ACE, for The Martian (2015); Stephen Mirrione, ACE, for The Revenant (2015); Joe Walker, ACE, for Sicario (2015); and Tom McArdle, ACE, for Spotlight (2015). The winner for Outstanding Editing of a Commercial was Doobie White of Therapy Studios for Wilson’s Nothing without It. 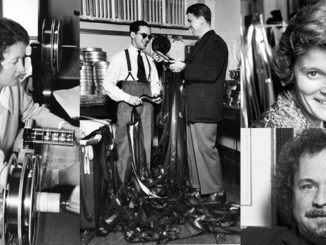 The HPA’s 2016 Lifetime Achievement Award recipient, Dow made a major career shift in 1983 from an editor of TV movies and series to a nonlinear editing innovator as one of the inventors of Editflex. Since then, he has served as a midwife to the digital revolution, working with such companies as Media.net Communications, Encore Video and now BeBop Technology. HPA Past President Leon Silverman, left, and Lifetime Achievement Award winner Herb Dow. This year’s Charles S. Swartz Award, named after the late head of the University of Southern California’s Entertainment Technology Center, was given to Michelle Munson, founder and CEO of Aspera, a trailblazer in data transfer technology. 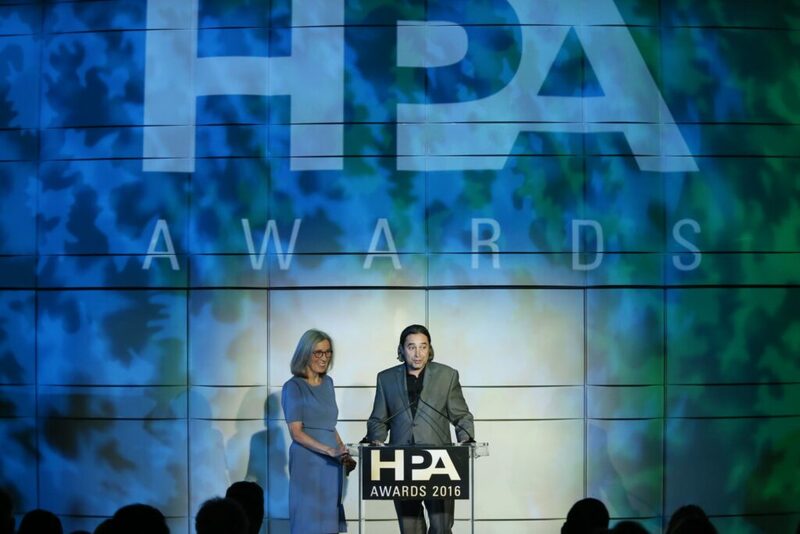 HPA’s Emerging Leader Awards went to Jesse Korosi, Director of Workflow Services with SIM Digital International and Jennifer Zeidan, Media Systems Engineer at Industrial Light & Magic. Sponsored by the NAB Show, the HPA Engineering Excellence Award was presented to four companies for their introduction of outstanding products for the post-production industry: Aspera for FASPStream; Grass Valley for the GV Node Real Time IP Processing and Edge Routing Platform; RealD for Ultimate Screen; and SGO for Mistika. Two Engineering Excellence Honorable Mentions were noted: Grass Valley for the LDX 86N Native 4K Series Camera, and Canon USA, Inc., for 4K/UHD/2K/HD display. The HPA Judges Award for Creativity and Innovation was given to The Mill for Blackbird, a production tool especially designed for automobile media advertising. In the remaining craft categories, the Award for Outstanding Color Grading of a Feature Film was presented to Steven J. Scott of Technicolor Production Services for The Revenant; in Television to Paul Westerbeck of Encore Hollywood for the “By Fire” episode of Gotham (2014-present); and in Commercials to Tom Poole of Company 3 for Hennessy’s Odyssey. The Award for Outstanding Visual Effects in a Feature Film went to Robert Legato, Andrew R. Jones, Adam Valdez and Charles Henley of MPC and Keith Miller of Weta Digital for The Jungle Book (2016); in Television to Joe Bauer of Fire and Blood Productions, Eric Carney of the Third Floor, Derek Spears of Rhythm and Hues Studios, Glenn Melenhorst of Iloura, and Matthew Rouleau of Rodeo FX for the “Battle of the Bastards” episode of Game of Thrones; and in Commercials to Ben Walsh, Ian Holland, Brian Delmonico and Brian Burke of Method Studios for Microsoft Xbox’s Halo 5: The Hunt Begins. A Celebration of Emmy Proportions!